Asking Price is Too High- Don’t list your home for what you think your home is worth, list your home for what it is actually worth. T.J. Hollinden with the Hollinden Team says this is the most common reason why a home won’t sell. A real estate agent will be able to look at comparable homes in your neighborhood and determine the best price to list your home. Remember, if a buyer is obtaining a loan to purchase your home, he/she will need to get an appraisal. 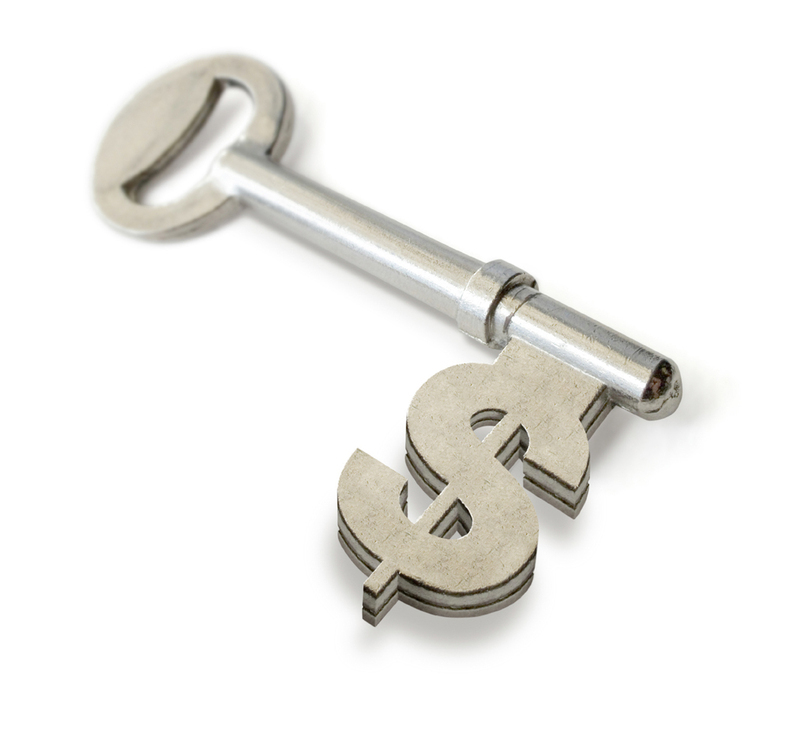 If a home is way overpriced, the buyer can only receive financing for what the home is actually worth. This means the buyer will have to come out of pocket for the remainder of the sales price. Many times, this will ruin a deal and you will likely have to put your home back on the market. Bad First Impression- Pictures of your home on the Internet are the first impression a buyer will have. Bad pictures take away from the overall beauty of a home. When hiring a REALTOR in Louisville, you should only hire an agent with a good camera that knows how to use it, or willing to hire a professional photographer. You may consider viewing homes that the agent has listed before on the Internet. That way, you can get a better idea of the quality of their pictures. Your agent should also take ample photos of your home inside and out; just a few pictures will not do. In addition, your curb appeal applies to the first impression as well. Even if you have a gorgeous home on the interior, you can lose a potential buyer if it is poorly maintained on the outside. We hear over and over that buyers make their mind up in the first eight seconds of entering the home. Part of that reasoning is they already have a first impression before they open the door. Make sure your landscaping is manicured and that your home appears inviting. Consider a nice wreath and patio furniture if you have a porch on the front of the home. Your Home is Outdated- People are searching for updated homes in Louisville. If your home isn’t updated, consider discounting the initial listing price. This will let the buyer have room to make upgrades. You could also consider a few inexpensive updates. Fresh paint and carpet can go a long way towards the quick sale of your home. You might consider updating fixtures and hardware in the home. Often, even cheaper updates can increase your chances of selling your home in Louisville. You Aren’t Using a Real Estate Agent- You will never get the exposure you need to sell your home if you don’t use an agent. When you work with an agent, your home instantly becomes visible on many websites as soon as your home is listed on the MLS. You just won’t get that kind of exposure selling your home yourself. In addition, if you have never practiced real estate, you may find the transaction quite challenging. Seasoned REALTORs have ample experience with negotiation and the legalities involved with real estate. Too Many Personal Items in the Home- When a buyer views your home, he/she should be able to visualize living there. If you have excessive personal pictures and items around your home, it will hurt your ability to sell your home. However, it is okay to have some furniture and décor left in the home. Doing this could actually help the buyer see the potential for the home. Just make sure the home doesn’t look cluttered. Closets that are jam packed make the buyers wonder if their items will fit. We hope that this information was helpful for those struggling to sell their home. If you would like to discuss listing your home with a professional REALTOR, call the Hollinden Team at 502-429-3866. We would love to assist you in selling your home in Louisville. Fixer-Upper Home or New Home in Louisville? So, you are in the market for a new home in Louisville. You see many homes on the Internet, both new and old. Both options seem intriguing. The idea of saving some money on the sales price and buying a fixer-upper home sounds pretty appealing. On the other hand, how nice would it be to move into a home that was brand new and completely move-in ready? How do you make such a tough decision? We will discuss a few factors to help you decide. What makes rehab homes in Louisville so attractive to buyers? The most obvious reason is the price. Typically, if a home needs a lot of work that the seller isn’t willing to do, the listing price is low. Likewise, fixer-uppers allow buyers to move into more desirable neighborhoods for less money. In addition to saving on the sales price, distressed properties in Louisville provide savings on Jefferson County property taxes. Many times, distressed homes in Louisville allow homeowners to take advantage of a tax credit for their rehabilitation costs. Often this tax credit will apply to historic homes only (Hurwith,2016). In some cases, rehab homes are eligible for an FHA 203k loan or a rehabilitation loan. Rehab homes can have a lot of character too. With a fixer-upper home, you have the opportunity to create a unique looking home. Many people that fix up an older home are able to add modern day upgrades but still maintain some of the historic charms. Fixer-uppers also allow you to put your own stamp on your home. You are free to design and decorate the home from scratch. Although some of the mentioned factors may seem appealing, rehab homes can be a lot of work as well. First, rehab homes can take a lot of time! Sometimes hiring contractors can speed up the process; however, you may want to try to do some things yourself to save money. Do you have experience making home renovations? If not, anticipate running into some road blocks. Being new at making home repairs can take even longer and may end up being quite expensive. 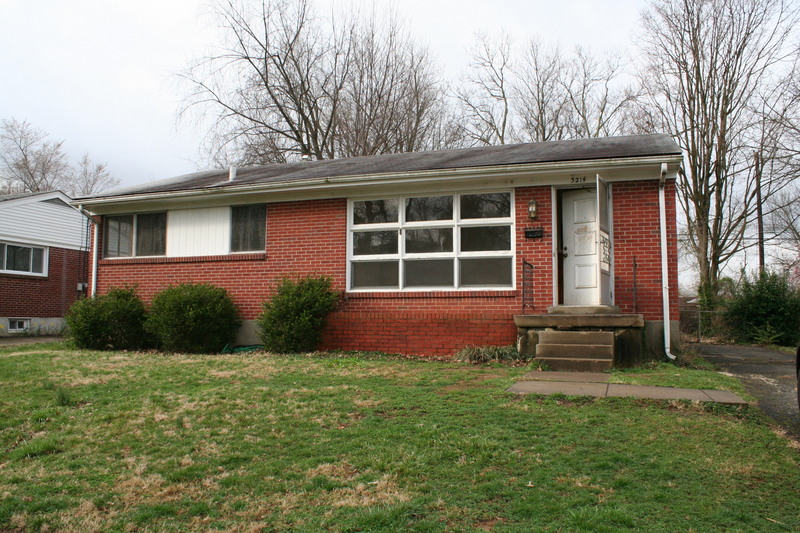 Do you have the time to invest in a rehab home in Louisville? You should get many estimates on the cost of the homes repairs before purchasing the home. Whenever you calculate the estimated cost of renovating the home, make sure to add another 20% to the total cost. In the end, you may find that you will need to hire a contractor after all. Another factor to keep in mind is that although you may be getting a good deal by buying a fixer-upper home in Louisville, you are still going to be spending a lot of money on repairs. This is the number one issue for people purchasing distressed properties in Louisville. You must have a source of cash to make the repairs on the home. In addition to upfront repairs and renovations, if it is an older home expect the unexpected. Older homes have a tendency to have many issues. At any time, a new problem could arise. Of course, there is always a chance that the home would be a candidate for a rehabilitation loan, but don’t count on this. Also, don't forget about the permits you will need to make the repairs on your home. A permit can be required for the following repairs: fencing installation, plumbing, electrical work, heating maintenance, and window installation. Typically, if a home renovation costs more than $5,000 you will likely need a permit (Davis, 2014). Another thing to consider is whether or not the home is a cosmetic or structural fixer-upper. Many times cosmetic fixer-uppers aren’t nearly as expensive as a structurally distressed property. A structurally distressed property will likely require a lot of work and money. It may be best if a home has structural issues to pass it up. Move-in ready homes are obviously the most convenient options. Typically, the home is updated and needs no work. Usually, the only work that may need to be done is just adding your own personal touches to the home. Also, new homes are usually easier to finance. Obviously, your credit score, down payment, etc. play a role in financing as well. However, in general, financing is usually quicker and easier for new homes in Louisville. Newer homes are also more energy efficient and cost you a lot less on electric bills. Of course, there are downsides to purchasing a new home. New homes are expensive. Because they are move-in ready, you are charged more than you would be if you were buying a distressed property. Move-in ready homes also don’t allow much room to customize. Move-in ready homes usually match the seller’s taste. If it is a new construction, sometimes you are limited to only a few styles of homes to choose from. There may be many things you like about the home but a few that you don’t. The problem is that you are already spending so much on the home that there may not be room for improvements. Also, new homes can have issues too. Just because a home is a new construction doesn’t mean that no problems will arise. You need to do a thorough investigation on the builder prior to purchasing a new home. Hopefully this information will provide some guidance for you when it comes time to buy a home. The Hollinden Team has closed several transactions involving distressed homes in Louisville. If you have questions about homes in Louisville or surrounding counties, feel free to call the Hollinden Team at (502) 429-3866. Our beautiful Springhurst listing at 9831 White Blossom Blvd features four bedrooms and three and a half bathrooms. Check out our blog for more information. is now under contract. Stay tuned for future opportunities or call The Hollinden Team at 502-429-3866 for more information homes in Springhurst.The Hollinden Team invites you to 9831 White Blossom Blvd! As you approach this four bedroom and three and a half bathroom Springhurst home, you will notice the immaculately maintained lawn and landscaping. The landscaping features a beautiful four-tiered fountain that adds additional curb appeal. There is also a two car garage with plenty of storage space. When you enter the two-story foyer, the first thing you will notice is the standout French empire chandelier hanging from the ceiling. To the right of the foyer is the living room and to the left is the office. The formal living room flows into the formal dining room. Both the formal living room and formal dining room have wainscoting and crown molding along with the pristine neutral color carpet. The office also has neutral colored carpet and neutral paint, allowing for you to personalize the space as you please. Moving towards the back of the first floor, you will find the family room and eat-in kitchen. The family room features the same wainscoting and neutral colored carpet as the other rooms on the first floor. This gives off a very crisp and clean look to the home. There is also a gas fireplace with granite hearth, mantle, and updated ceiling fan in the family room. The family room is open to the eat-in kitchen, allowing for a nice flow when entertaining. The eat-in kitchen has quite a few updates including hardwood flooring, granite counter tops, smooth top range, double oven, side by side refrigerator, crown molding, and pantry. The kitchen is spacious and has a lot of counter space for preparing food or entertaining. There is also a very nice wet bar off the kitchen in the former laundry room which makes a nice butler’s pantry. This space can easily be converted back to a first-floor laundry as the plumbing is still in the walls. The wet bar itself has quite a few cabinets and a sink. The dining room is conveniently located to the right of the kitchen. Moving to the second floor of the home, you will find all four bedrooms. The owner’s suite has crown molding, vaulted ceilings, and a ceiling fan. 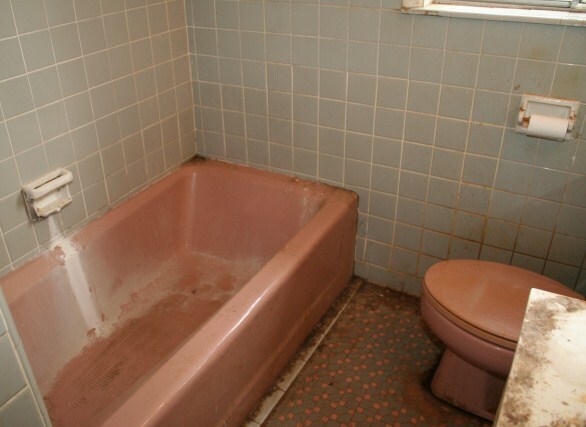 The owner’s bathroom is very eye-catching. Porcelain flooring, dual sink, large tub with separate glass shower, and a linen closet are the beautiful features that the owner’s bathroom includes. The walk-in closet in the owner’s suite offers plenty of space for your belongings. The three additional bedrooms on the second floor have carpet, crown molding, ceiling fan, and double closet. The second bathroom on the second floor has ceramic tile, ceramic tile shower with glass doors, and crown molding. In the basement, there are two no-egress bedrooms. One bedroom has two double closets and the other has one double closet. The full bathroom has ceramic tile and shower & bathtub combined. The laundry room has ceramic tile and space to add storage shelves. Both the washer and dryer will remain with the property. The family room in the basement is carpeted and very spacious. The backyard is fenced in and has a nice patio with attached pergola and stamped concrete. There is ample space for entertaining and plenty of patio furniture. The landscaping is very well maintained in the back of the home. 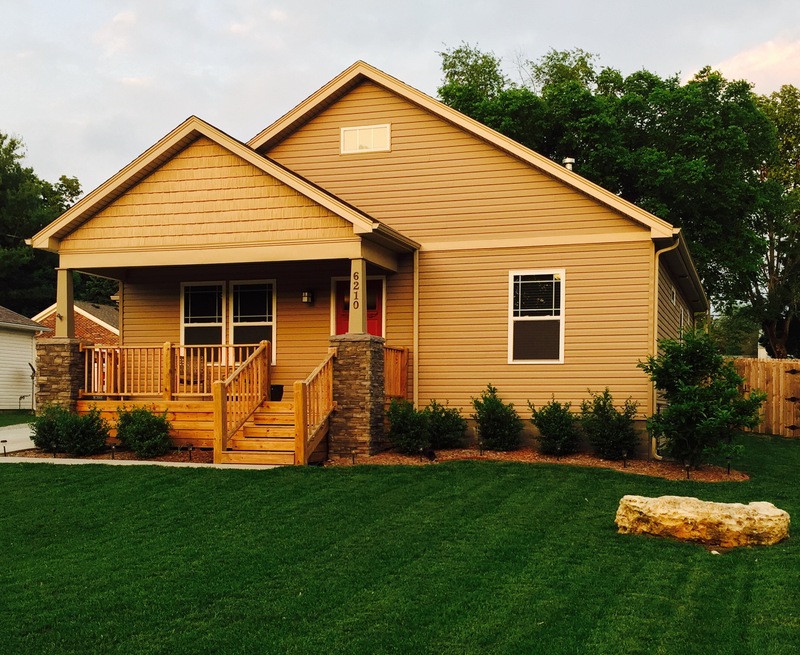 Additional updates include irrigation in the back & front yards, security system with a separate camera system, new furnace (June 2016), gas water heater, radon mitigation system & extra insulation blown into the attic. For a private tour of this gorgeous home in Louisville located at 9831 White Blossom Blvd. located in Springhurst, known as Louisville MLS 1450818, give Tim Hollinden a call at 502-429-3866. If you want to see other homes for sale in Springhurst, The Hollinden Team can help you with that as well. You’ve just been preapproved for a loan. You begin your search for your new home and find your dream home right away. Your REALTOR writes a contract and it is accepted by the seller. This is such an exciting time in your life! Purchasing a home is one of the most monumental events you will ever experience. However, there are many things you should keep in mind when purchasing a home, especially when it comes to your home loan. In order to receive a mortgage loan and move into your new home, you will need to follow a few guidelines. 1.) Do Not Take Out a New Loan- Taking out a new loan will increase your debt-to-income ratio (DTI). Lenders don’t like to see this when you are in the process of receiving a mortgage loan. 2.) Do Not Make Late Payments- It could really jeopardize your chances of getting a loan if you pay bills late while in the process of receiving a mortgage loan. According to Credit.com, a 30-day late payment can drop your credit score by 60 to 110 points. If the 30-day late payment is a mortgage payment, you may be at risk of being rejected by the lender. 3.) Do Not Switch Jobs- Lenders want to see that you can hold down a job and have a steady income. Sometimes if you switch jobs within the same field of work, and you are not taking a pay cut, you may still be able to get a loan. You will also want to avoid taking any jobs that are commission based during the time you are applying for a mortgage loan. 4.) Do Not Purchase Big Ticket Items- This would include things such as cars or furniture. Big ticket item purchases will increase your debt-to-income ratio which makes you at higher risk for being ineligible for obtaining a loan. In addition, this could lower your credit score. In general, you do not want to put too much money on your credit card before purchasing a home. If you cannot avoid purchasing a big ticket item, consult with your loan officer before doing so. If you need a loan officer in Louisville, we would be happy to help you. 5.) Do Not Open or Close Credit Cards- If you open a new line of credit it is creating an inquiry on your credit report. This could result in lowering your credit score. 6.) Do Not Co-Signing a Loan- This can be very risky, especially when you are applying for a mortgage loan. 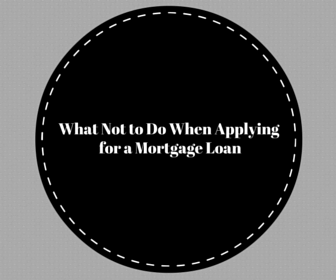 To be on the safe side, avoid co-signing a loan altogether when you are applying for a mortgage loan. Make sure to always consult with your loan officer if you have any questions or concerns. If you don’t have a loan officer and want to purchase a home, contact the Hollinden Team at 502-429-3866. We would love to help you get in touch with a loan officer in Louisville. We have several loan officers in Louisville that we can have contact you. If you are interested in mortgage rates in Louisville or the Louisville mortgage market, we can help with that as well. We also have information about the mortgage preapproval process in Louisville on our website. If you are interested in finding a home for sale in Louisville or surrounding counties, we would also love to help you with that as well. 10200 Saddle Pointe Drive is under contract. Stay tuned for future opportunities or call The Hollinden Team at 502-429-3866 for more information homes in the area. Welcome to 10200 Saddle Pointe Drive! This Saddle Pointe Estates home sits on 5.23 gently rolling acres. In fact, every home in this neighborhood sits on a few acres, making privacy one of the many benefits of living in this neighborhood. With development starting in the late 1990s, Saddle Pointe Estates is a very established neighborhood located near Fern Creek. Approaching the home, you will notice that the home has a lot of curb appeal. The landscaping and lawn are both well-manicured and the lot has many mature trees. This home has a newer roof (installed 9/2011) and beautiful shutters on most windows. The driveway is very long which allows for plenty of space for cars when entertaining. This home has a two and a half car garage, permitting for extra room for storage. This traditional style ranch includes five bedrooms and three bathrooms. 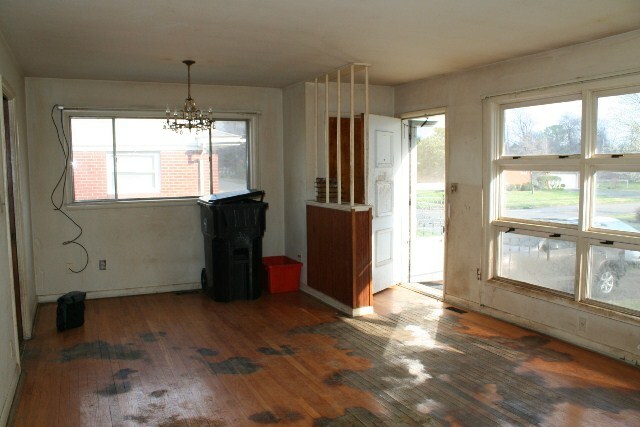 Upon entry, you are greeted by a spacious and inviting foyer. The foyer is well-lit by a beautiful chandelier. Parallel to the foyer is the dining room. The dining room features double trey ceilings, hardwood floors, and gorgeous columns lining the entryways. Moving on to the great room, you can find built-in bookcases with T.V. niche and a ceiling fan. There is access to the all seasons room from the great room. The great room allows for ample natural light and gorgeous views of the beautiful backyard. Exit the great room and move on to the eat-in kitchen. The eat-in kitchen is quite impressive. Granite countertops, oak cabinetry, ceramic tile backsplash, side by side refrigerator, smooth top range oven, hardwood floors, new disposal, and a ceiling fan are some of the features that make this eat-in kitchen stunning. We can’t forget the ample windows in the kitchen, allowing in a lot of natural light, complete with custom plantation shudders. The kitchen has a nice sized island, perfect for preparing food. Some things that you will notice about the first floor are the open floor plan and the graceful flow from room to room. The laundry room is also located on the first floor. The laundry room offers plenty of shelving to store laundry detergent, clothing, etc. The washer and dryer will remain with the property. The first floor also provides access to the Champion all seasons room from the kitchen. This room offers one of the best views in the home of the stunning land. The all seasons room also includes a PTAC (heat & air) unit, surround sound speakers, and a ceiling fan. A PTAC system is a Packaged Terminal Air Conditioner, commonly found in sunrooms. The all seasons room allows you to enjoy the beautiful views on days that it is too hot or cold to get outside. The all seasons room has a 15-year warranty and the glass has a lifetime warranty. Below the Champion all seasons room is a concrete floored exterior storage space. The first-floor owner’s suite features hardwood floors, double tray ceilings, and a ceiling fan. The walk-in closet in the owner’s suite is spacious and offers several shelves for storage. The master bathroom boasts ceramic tile, oak cabinetry, marble countertops, whirlpool tub, and ceramic tile shower. There are also two additional bedrooms on the first floor. Both of these bedrooms have hardwood floors, double closets, and ceiling fans. Above the garage is the fourth bedroom. In this bedroom, there is new carpet and a ceiling fan. This bedroom would be nice for someone that would like a little bit more privacy or would make a perfect out of the way office or theater room. The second bathroom on the first floor includes ceramic tile, marble countertops, dual sink vanity, and a fiberglass tub/shower with sliding glass door. Moving to the walkout basement, you will see that there is plenty of space for guests and entertaining. The basement features an office/fitness room, bedroom, full bathroom, family room, craft room and game room! The basement has a pool table that will remain with the property. The office/fitness room has carpet and sump pump closet with two sump pumps. There has never been any water in this basement. The bedroom includes a ceiling fan and plenty of space for furniture. The full bathroom has vinyl flooring, pedestal sink, tub/shower combo with a glass door, and a closet. The game room and family room both have ceramic tile. You’ll notice that the family room is huge. There is a brand new sliding glass door to access the backyard patio from the family room. The furnace room is also located in the basement. There are two natural gas furnaces and one gas water heater. Both of the natural gas furnaces have electrostatic cleaning systems. They are serviced twice per year. The back patio has plenty of space for patio furniture. There is also built-in wood bench seating on the back deck. Amongst the 5.23 acres, this home sits on, one of the acres is surrounded by a four board fence with chicken wire. This could be used as an area for pets to play. Beyond the fence is a wooded tree line. There is a bridge crossing a stream in the woods that you can cross to access the other two acres of fields beyond the wooded area. Having this much beautiful land, you would have plenty of room for entertaining or gardening. Often, if you want a home with land, you have to travel outside of Jefferson County to find it. This home would be perfect for someone that doesn’t want to venture out of Jefferson County but wants more privacy. In addition to all of the other great features this home has to offer, there is also an ADT security system, two HVAC systems for the main and lower levels. If that wasn’t enough, everything you see in the home will stay with the property. Is Louisville In a Buyer's Market or Seller's Market? The real estate market has gained a lot of attention. Louisville and surrounding counties are experiencing record low inventory. Currently, we are in a seller’s market. Some may be curious, what constitutes a buyer or seller’s market? Why is real estate inventory so low right now? How will 2016 compare to 2015 Louisville real estate statistics? In this blog, we will discuss these questions regarding the real estate market. In a seller’s market, there are more buyers anxious to buy than people willing to sell their homes. In this case, home prices usually spike up because sellers know their home will be in demand. Commonly in a seller’s market, there is a reason behind why more buyers are ready to buy. Some of these factors maybe low interest rates, higher employment rates, etc. A fast market is when homes don’t last on the real estate market. In a fast market, you will see many homes sell the same day they are listed. Often, listings in a fast market will have multiple offers. Many times a seller’s market and a fast market can go hand in hand. The current conditions in the Louisville real estate market could be categorized as a fast market. A buyer’s market is when there are fewer buyers and more people with their homes on the market. Typically, in the case of a buyer’s market, sellers have to do more to make their homes more attractive to sell. In a buyer’s market, you will see a major dip in home prices. Some of the time in a buyer’s market, sellers will need to do more to appease buyers such as pay for closing costs, purchase home warranty, etc. Generally, if you want to find out whether or not we are experiencing a buyer or sellers’ market, you will want to calculate the absorption rate. The absorption rate calculates how many months of real estate supply there is in a particular market. Most times when the absorption rate is calculated, six months’ worth of inventory is used. In a buyer’s market, there is usually six months’ worth of inventory and in a seller’s market, there is usually three months’ worth of inventory. In a balanced market, there is between three to six months of inventory. Why is inventory so low? Nationally, we are seeing a shortage in inventory due to lack of foreclosures and short sales on the market. Many of these homes were purchased by investors a few years ago. Many of these investors aren’t ready to sell these homes and are renting the homes instead. Next, many of the homeowners that own affordable homes are in a situation that they are not going to make any money from their home so they choose not to sell. Another reason, home prices are spreading out more and more. What I mean by this is that the difference in price between trade-up homes (home after starter home) and luxury homes are growing more and more. Because of this, luxury homes are becoming more unattainable for some and many trade-up homeowners are sticking with the home they have. When this happens, starter homes become more expensive as well. There is also a lack of inventory in luxury homes. Due to this, many luxury homeowners that thought about selling have changed their mind and are staying in their current residence (McLaughlin,2016). A final reason is that there is less new construction. Unfortunately, after the real estate crash in 2007, many of the real estate builders closed down their business. Also, many of the trade workers that were involved in constructing homes moved on to other types of work after the crash of 2007. With less real estate builders in the business, we are seeing a decrease in inventory. Although inventory is at a record low, there aren’t too many changes in the Louisville real estate market in 2015 versus 2016. In May 2015, there were 1019 sold listings in Louisville versus 1045 sold listings in May 2016. The average sale price in increased a little from $191,668 in May 2015 to $201,876 in May 2016. The only thing that shows a significant difference is the number of new listings in May 2015 versus May 2016. In May 2015, there were 1590 new listings versus 1457 new listings in May 2016. It will be interesting to see what the real estate market does in the next couple months. Stay tuned for more information regarding real estate conditions from the Hollinden Team. For more information regarding the real estate market, call the Hollinden team at 502-429-3866. We would love to assist you with any questions you may have. If you are looking for a fun summer activity in Louisville, head to The Parklands of Floyds Fork to canoe or kayak! 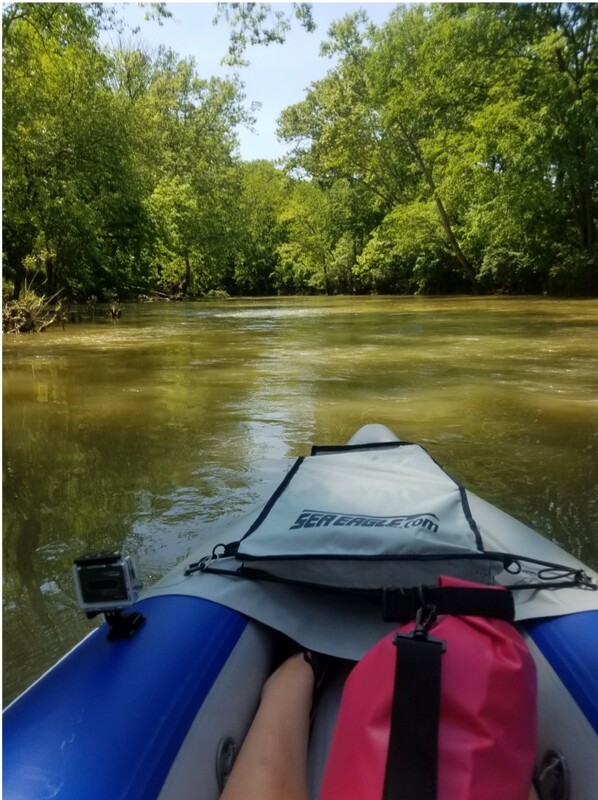 There are several places to put in your kayak or canoe at Floyds Fork such as North Beckley Paddling Access, Creekside Paddling Access, Fisherville Paddling Access, Cane Run Paddling Access, Seaton Valley Paddling Access, Broad Run Valley, and Cliffside Paddling Access. For more information on the paddling accesses, visit the Parklands of Floyds Fork website. Floyds Fork is a great place for beginner kayakers and canoers to enjoy a relaxing day on the water and gorgeous views of nature. The Parklands of Floyds Fork is also a very family friendly place. On Floyds Fork, you are able to choose the distance of your trip. The length of trips ranges from two miles to 19.7 miles. Blue Moon Canoe and Kayak of Kentucky has partnered with The Parklands to provide canoe and kayak rentals on Saturdays and Sundays April through October. Blue Moon Canoe and Kayak also provides a shuttle for $7 a person. From what I have been told by the staff of Blue Moon Canoe and Kayak, you must reserve your spot on the shuttle prior to kayaking or canoeing on Floyds Fork. If you did not want to pay for a shuttle and are going with a group of people, you could park one car where you put in your canoe or kayak and another where you will be getting out. According to the Parklands of Floyds Fork website, it is not as fun to canoe or kayak if the water levels are under 35 CFS. Cfs stands for cubic feet per second and is how the water is measured. The reason why is the water levels are too low at this level and you will find that you will have to drag your canoe or kayak quite a bit. Floyds Fork is not a dam released water trail. The water levels are dependent upon rain. If it hasn’t rained much in a while, it is safe to assume that the water levels are very low. In my experience, I believe that canoeing or kayaking on Floyds Fork is most enjoyable at 100 CFS or over. The first time I visited Floyds Fork, the water levels were at 103 CFS. At this water level, there were only a few areas of very low water that we had to drag our kayak. Another time I visited Floyds Fork, the water levels were at about 400 CFS. I only had to drag my kayak once or twice. The water moved at a very swift speed and there were a few very small class one rapids. At 400 CFS, not too much paddling was required. At 100 CFS, I had to paddle a little bit more to get the kayak moving. On this particular occasion, I kayaked from North Beckley to Fisherville and was on the water for approximately three hours. Of course, the length of your trip kayaking or canoeing on Floyds Fork will depend on water levels. Please note that I am not an expert kayaker and you should always be cautious when kayaking. I included the CFS during my visits just to give you a general idea. One thing to remember is that the water trail is not maintained by The Parklands. This means you are kayaking or canoeing at your own risk. You should always be sure to look out for fallen trees and debris. When you kayak or canoe on Floyds Fork, you should always be aware of your surroundings. According to The Parklands website, any CFS over 500 CFS is only advised for very experienced paddlers. Anything over 2,000 CFS can be dangerous and the water trail could be closed off until water levels lower. It is highly recommended to check the current CFS prior to planning a trip to The Parklands at Floyds Fork. You can check the current CFS on the USGS Current Conditions website. There are a few neighborhoods and streets in Kentucky have property on Floyds Fork. In Oldham County, some homes in Watch Hill have homes on Floyds Fork. In Shepherdsville, Hebron Estates and Settlers Gap have some homes on Floyds Fork. In Pewee Valley, there are some homes on Floyds Fork along Ash Avenue. There are some homes along Floyds Fork in Jefferson County on Old Taylorsville Road and South Pope Lick Road. We would love to assist you in purchasing a home near Floyds Fork. Please call the Hollinden Team at 502-429-3866 for more information on purchasing a home near Floyds Fork.